Putting a body lift on your Nissan Hardbody Pickup will allow you to clear larger tires at the fraction of the cost of a full suspension lift. 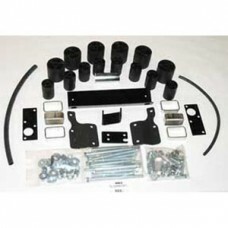 Body lift kits are available for the Nissan Hardbody Pickup in both 2-inch and 3-inch heights. Fits years 1986, 1987, 1988, 1989, 1990, 1991, 1992, 1993, 1994, 1995, 1996, 1997Nissan Hardbody Body Lift.. Fits years 1986, 1987, 1988, 1989, 1990, 1991, 1992, 1993, 1994, 1995, 1996, 1997 Nissan Hardbody Body Lift Gap Guard..